In this Valentine’s Day season get the feel of love in your desktop. Download Valentine’s day theme for Windows 7 computers. 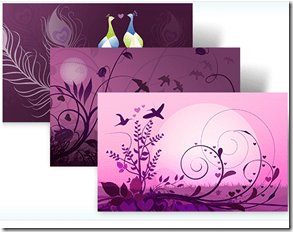 Microsoft has released new theme Lovebirds for Windows 7. The new theme has 5 high quality wallpapers of shadowbox-style lovebird.